Jamie here to share a fun little party favor with you! 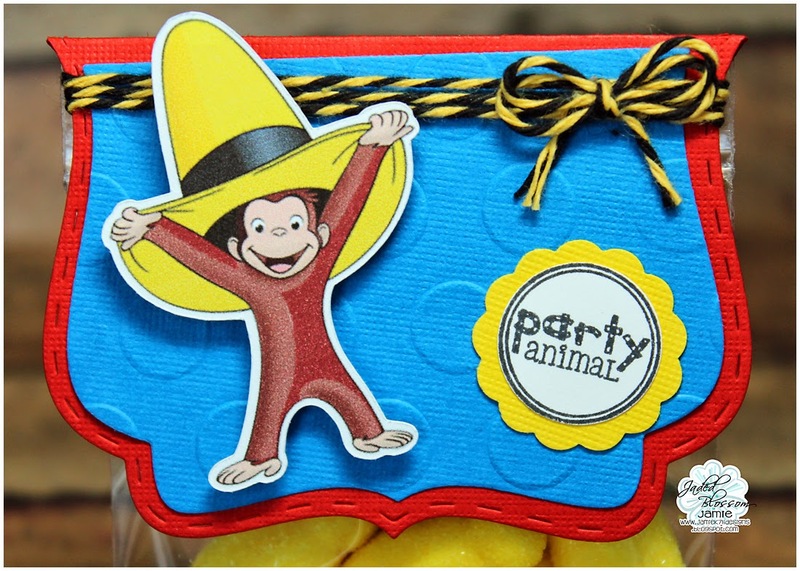 I did a print and cut of Curious George to add to the Fancy Topper Die. 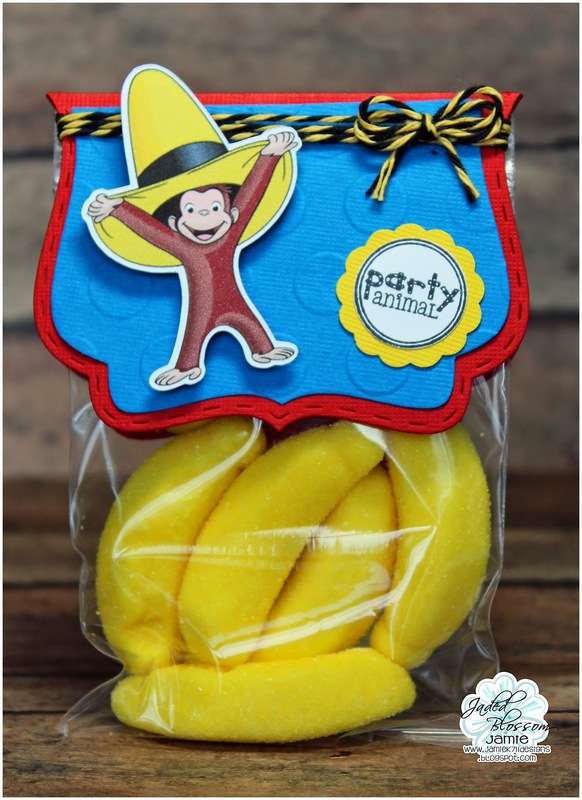 I filled a 3x4 bag with the perfect candy... Gummy Bananas! I used a polka dot embossing folder on the insert and then added a candies stamp from Wild Animal Candies. Last I added a little twine! Don't forget we have our Customer Contest going on, there's still time for you to submit a project! Jamie, this treat bag is adorable!!! !